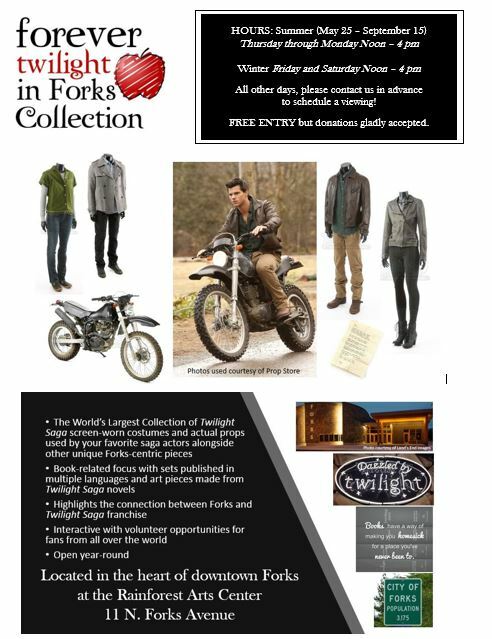 At the Forever Twilight in Forks Collection, view screen-worn costumes and actual props used by your favorite saga actors. This collection features a blend of book, movie and unique Forks-centric pieces, including authentic movie props and costumes, Twilight Saga novels from all over the world, an art piece made of Twilight Saga books, a backdrop for photo ops and other interesting memorabilia right in the heart of downtown Forks, Washington at the Rainforest Arts Center – located at our only traffic light! Entry to the gallery is free, but donations are gladly accepted. We also are looking for Twilight super-fans for our docent program! To learn more, click here. Open Friday and Saturday Noon – 4 pm; All other times please call for a viewing. Open Thursday through Monday Noon – 4 pm; Tuesday and Wednesday please call for a viewing. 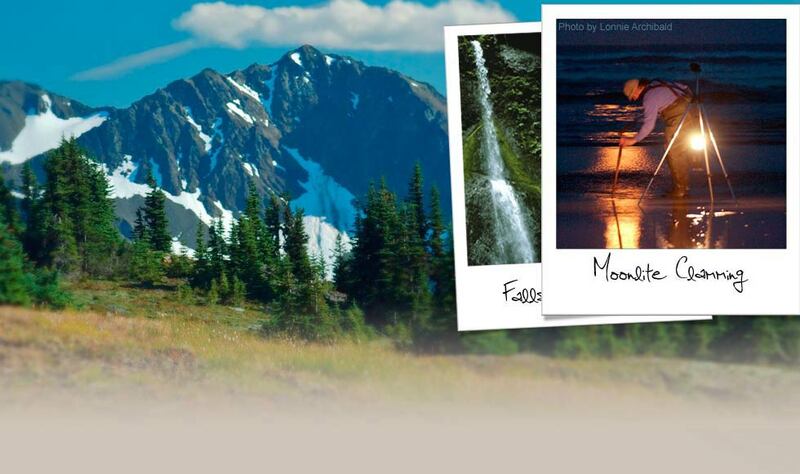 We are adding tons of new exhibits to the Forever Twilight in Forks Collection. The Collection will be unavailable for viewing from 4pm on August 6th until Noon on August 9th. This gallery is operated by Forks Chamber of Commerce. For more information please contact director@forkswa.com or 360-374-2531.